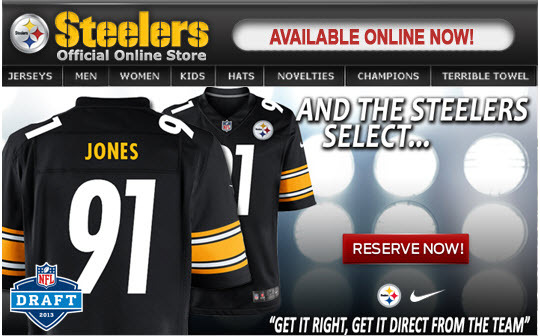 To hear Kevin Colbert talk about Jarvis Jones one might think the Steelers had drafted James Harrison in his prime. But if the young man is such a great player -- and we're not saying that he isn't -- then how did he get to #17? As alluded to by Mr. Colbert, the slow 40-yard dash time certainly helped. But the other part of the story is the condition spinal stenosis, which Mr. Jones suffers from. Indeed, the football factory at Southern Cal was concerned enough about it to prohibit him from playing football. So what is spinal stenosis and how concerned should Steelers fans (and Mr. Jones himself) be? The simple explanation, as we have all heard, is that spinal stenosis is a narrowing of the spinal column. More specifically, according to the Mayo Clinic, the condition "can put pressure on [the] spinal cord and the nerves that travel through the spine." Sounds like it could be painful, but the Mayo Clinic points out that some people have no symptoms whatsoever. But those who do can suffer from "pain, numbness, muscle weakness, and problems with bladder or bowel function." But, based upon the examination by both NFL and Steelers medical staff, it would seem that Mr. Jones is one of the lucky individuals who is symptom free -- good news, right? If there is one cautionary bit of information for all concerned there is this factoid: "Spinal stenosis is most commonly caused by wear-and-tear changes in the spine related to aging." So, the fact that a young man already has the condition does not auger well for Mr. Jones given the severe wear-and-tear of aging in the National Football League. Further, there has been at least one study that demonstrated that football players with spinal stenosis were more likely to suffer from so-called "stingers" or "burners." And another study found that such injuries are the second-most common injury amongst football players, and that "congenital spinal stenosis has been found in over 50% of players with this condition." There is a lot of happiness within the Steelers community over the pick of Mr. Jones, and Mr. Jones himself seems quite pleased. But the trajectory of his career is a long way from being known, and we can only hope that the physical condition that contributed to pushing him down the draft board does not negatively impact his ability to contribute on the field.